Emotional pain. Sorrow. Mental misery. Aching emptiness. If you’re at all human, you may have experienced these feelings at one time or another, and, if you have experienced these feelings at one time or another, you know they’re not very pleasant. Feelings like these are so heavy at times, you can barely breathe. Sometimes emotions like these feel as if they could literally suffocate you, if you can’t – somehow – scratch and claw your way out of them. It’s bad enough when you have to feel your own pain – can you imagine feeling the pain of someone else as well? Or how about a room full of people’s emotions? Can you imagine that? If you’re not a natural born empath, then you probably cannot imagine that. 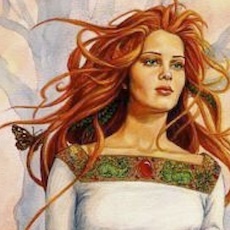 If you are an empath, you may feel overwhelmed on a daily basis – not only by your own feelings, but by those of others around you or even by those who are far away, but with whom you are energetically connected. You may even feel the emotional stress or trauma of people you have never met, but who have just passed by you or who are traveling in your general direction. For an extreme literal example, when I was a kid and I saw an amputee being wheeled toward me in a public place, I felt a sickness wash over me – a cold, nauseated sort of feeling. The site of an amputee would literally knock the breath out of me and immobilize me. This type of reaction was automatic enough that my mom would literally steer me away from the site of amputees if she managed to spot them before I did. One time, when I was about 12, my mom and my sister-in-law and I were all walking together in the mall when my mom spotted an Army veteran with a missing leg being wheeled in our direction just seconds after I did. She steered me away and shielded my line of vision with her body. “Why does that bother her so much?” my sister-in-law, a registered nurse, asked in her usual snotty tone. “She’s sensitive,” my mom explained with compassion. “She needs to get over it,” my sister-in-law said with a roll of her eyes. Like I was some sort of mamby-pamby wimp. She had no clue what it was like to feel her own pain, let alone the pain of someone else. Of course, these cold type of INsensitives make excellent candidates for the medical field, so they are always wealthy – and often cold, clinical, snooty and rude – while highly sensitive people like myself struggle to hold any kind of job because so many different things affect us and distract us in the daily world. I don’t think a true empath could ever work in the medical field – and definitely NOT in a hospital. We take in the feelings of everyone in our general environment on a daily basis – on top of our own. This is why I cannot even visit a friend or loved one in the hospital. I can only last about twenty minutes in a hospital before I begin to feel claustrophobic and start to hyperventilate. 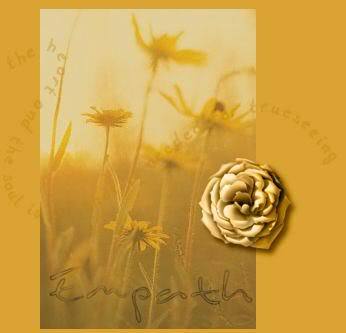 I never really understood why until about a year ago – when I learned what a natural empath is, and that I am one. I was in a medical clinic, actually, undergoing a breast biopsy, when the realization hit me with the most clarity. It was when they shoved this hollow needle – about the same girth as a Bic pen – into my breast. It didn’t hurt. No, I was more numb than a coke addict floating in 32-degree water, but my body recognized that something foreign had entered it, and immediately went into shock. If your body has never gone into shock, this is what happens: a cold feeling washes over you and you begin to sweat. Profusely. I could feel beads of sweat the size of half-dollars pooling all over my body. At the same time, your mouth dries up and you feel like – well, you can’t decide, really, because you can’t swallow and you can’t breathe – so you’re really not sure if you’re going to puke or pass out. You hover just inches above your body in this wonky state of weirdness wondering: am I awake or dreaming? Dead or alive? Floating or–? What just happened? Gasp, gasp, gasp! And, yes, you are conscious the entire time. This state of shock was a very familiar feeling to me – but this time it was much crisper – more real – and definitely more frightening than ever before. I later realized that this state-of-shock feeling was familiar to me because it was what I used to feel as a kid when I saw an amputee’s stump. I’d see it, hear it, and then feel it – meaning I would see the stump, hear the saw blade or the bullets or the bombs – and then, BOOM, I felt the state of shock their body felt when it happened – whatever it was that stole their limb. This is why I reacted the way I did when I was a kid; I’d feel the cold, nauseated panic of the amputee’s body as it realized – but could not yet feel – the loss of the limb. The reason my experience with my body being in a state of shock felt so much stronger when I had my biopsy was because it was the first time the state of shock was actually my own. I’m glad I experienced it, though, because it made me realize what happened to me as a kid – back when I was so much more open – spiritually and psychically – than I am now. There are other feelings I experience now, though, since I have managed to desensitize myself a bit to control the physical stuff. Now I’m more in tune to the emotional feelings of others. Even when they say nothing or deny what they are feeling, I already know how people are feeling, and sometimes even why they are feeling the way they do – even if they don’t know why they are feeling that way. Over a decade ago, one of my best friends was struggling with the untimely death of both her parents, their alcoholism, and their abusiveness toward her as a child. It was hard to get a hold of her at times, but I managed to connect with her on occasion, and, when I did, it was usually a very emotional three to four hour phone conversation. In one conversation, she confessed to me that her father had held a gun to her head a few years prior, but then turned it on himself. Although he didn’t actually shoot anyone, it was simply the trauma of the incident that left her rattled. I couldn’t tell her that I knew why – that I knew what he did to her when she was little. I didn’t know what he did to her because I actually witnessed anything firsthand, but I did “see” it – psychically that is. I couldn’t tell her, though, because the one thing I wasn’t sure of was whether or not she knew her father had molested her. I didn’t dare say anything because I realized that it was highly likely that this was something she had repressed. So I choked it down like rotten hamburger and left it there, unsettled and agonizing, in my gut. Something similar happened a couple years ago with an acquaintance I hardly knew. I was helping her move some things to her new place. She had been staying at her sister’s house, so I met her there. Again, I knew nothing about this girl’s past; I barely knew anything about her present. When I pulled in the driveway, I noticed that all three cars parked there had rainbow stickers in the back windows. “Who does that green car belong to?” I asked. “That’s my sister’s,” she replied. “Your sister’s a lesbian, too?” I asked as I peered deep into her hazel eyes which immediately – somehow – became a mirror-like silver. But something else happened in that moment. Sometimes I see things. Sometimes I hear things. This time it was just a simple knowledge – one that startled me, so I know it was not an assumption. It was information passed from the all knowing directly from the source – her eyes to mine – her soul to mine – her guides to mine. Again, I said nothing about the information I received. A few minutes later, I met her sister in person; the introduction was brief and the exchange was monosyllabic. Creepiness. She made my skin crawl. Enough said. I never mentioned anything to this person because I’m pretty sure this stuff is buried deep within her, too – most likely repressed – and it isn’t my place to mention it. Still, I have to live with the knowledge – and the stress of knowing, but pretending to not know anything – all while watching this person’s dysfunctional patterns repeat over and over again, and even feeling the panic, disappointment and frustration that this distant being feels on a regular basis. Being an empath can be maddening. Seriously. Not just the knowing – but the feeling, too. Insensitive people can suspect something such as molestation, and, because they have no empathy for the feelings of that person, they can just bluntly ask the question, or, in some cases, blurt it out without hesitation. Empaths, however, are more energetically in tune, and we can feel exactly what our counterpart is feeling. That is how we know better than to pose the question or spew the accusation; we feel that person is not emotionally ready to deal with this information. In fact, such traumatic knowledge could throw abuse victims into a psycho-dramatic tailspin of denial and a feeling of betrayal that leads to eventual mistrust. Now, I know what you’re thinking. You’re wondering how I could possibly know this information to be true if I have never asked my friends if it might be. You’re wondering if I have ever had feelings like this with anyone that I have confronted and learned that I was right on with what I was feeling. The answer is yes, I have. Last spring I made a bracelet for a friend’s husband out of various medicinal crystals to help him deal with his own adult struggles with the knowledge of his childhood sexual abuse. The weekend after he received it, he and his wife (my friend) attended a family birthday party. He wore the bracelet to the party. I have never in my life met this man; he lives in Massachusetts, but nonetheless, the night of the party, I was home alone in Michigan. I had just finished my dinner and I was putting my dishes in the dishwasher when all of the sudden I felt a strong craving I had not felt in almost two years: I desperately wanted to smoke a cigarette. I felt the same way I did when I was a chain-smoking fiend – I had to have that after-meal cigarette, and it was just about killing me. I remember thinking: No way. This is not me. This is not my craving. This has to be someone else. Suddenly my mind felt cloudy, and I leaned against the counter to brace myself for a new wave of weirdness. My vision darkened, and I leaned on the counter for support. A biracial man’s right forearm with a rolled white shirt sleeve appeared in front of my eyes; his left hand came across his forearm with a razor blade pinched between his thumb and forefinger. I saw him cut his forearm with the razor blade, then the vision faded, but I felt the release of blood gush out of my own arm and felt the relief that I assume cutters feel. I inspected my arm to see if I was cut or bleeding, but I was fine. I still kind of wanted a cigarette, though – but I knew it wasn’t really my want or need. The next Monday, when my friend and I were emailing back and forth, I asked her if her husband had been struggling with panic attacks at all Saturday night between 8-9 o’clock. She said he was going in and out of the building a lot to smoke, but she didn’t know if he felt panicked like he wanted to cut himself. So she emailed him and asked him. He told her yes, that he felt a strong urge to cut himself Saturday night. She was totally floored. It’s a mystery to me how I was able to connect with the emotions of a man I had never met in my life, but it happened. I am just glad that I could separate his feelings from my own, and that I didn’t give into the urge to drive to the local quickie-mart to buy a pack of smokes. After being almost two years tobacco-free at that point in my life, I think I would have cut myself if I sparked up a cowboy killer – to punish myself for smoking again! Of course, cutting is no laughing matter, and I am glad to say that I now understand with compassion why people cut themselves, because I could actually feel the relief this man has felt from the bloodletting. That is not to say that I recommend it or condone it, I just understand it. I wish that no one ever had to feel that kind of pain – the kind that leaves them so numb they have to cut in order to feel something or cut to release their pain. Feeling the emotions of others isn’t always fun, either. Especially when they are sick or dying or feeling panic. I can be absolutely fine one minute, and then an emotional wave washes over me and I suddenly feel like sobbing, or I’m practically doubled over in pain, or I’m fraught with fear or worry. I have to take a deep breath and think to myself: okay, who could this be, because I know it’s not me. Then I start checking in with friends or my spirit guides. Fortunately for me, many of my friends are empaths, too, so when I call to check in with them, they don’t think I’m nuts, and they often are able to help me figure out who is in trouble. That is the blessing!